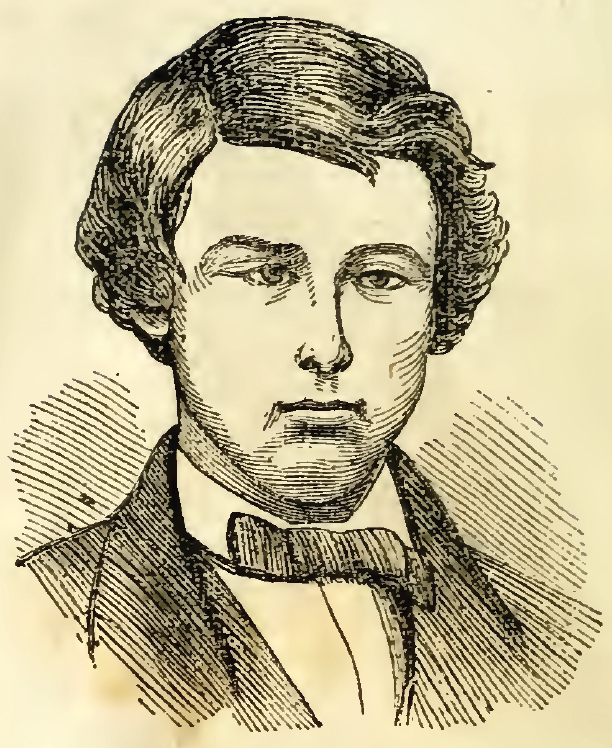 Conspirator David Edgar Herold was born in Washington, D.C.
David Herold was the son of Adam George and Mary (Porter) Herold. He attended Gonzaga College High School, Rittenhouse Academy, and Georgetown College. 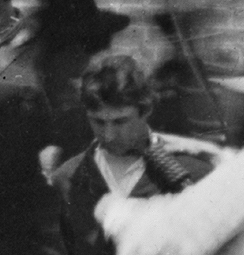 Davy studied pharmacology and was employed as a druggist’s assistant and clerk when he became part of John Wilkes Booth’s plot. He enjoyed hunting and had learned the routes and trails of Southern Maryland well during his hunting excursions. This made Davy a perfect guide for Booth’s escape. At the time of the assassination Davy was just 22 years old. Davy’s true activities on the night of the 14th are hard to pin down. It is most commonly written that he escorted Lewis Powell to the Seward house, and then fled when the onslaught began. Another theory is that he was a point man – directing Powell to Seward’s and then returning to the Kirkwood house to see if Atzerodt had completed his assault on the Vice President. Lastly, in his confession Atzerodt states that he refused to kill the Vice President, and that it was Davy who was assigned to do so in his place. What we do know for certain is that stable man John Fletcher saw Davy Herold riding his horse around the time that the assassination occurred. Fletcher chased after him as Davy was supposed to have returned his rented horse hours ago. First Fletcher chased him on foot before going to his stables to get a horse for the pursuit. When Fletcher came to the Navy Yard bridge he learned from the leader of the guard house, Silas Cobb, that Davy had already passed over the bridge. Cobb told Fletcher he could pass and cross the bridge, but that he would not be allowed to return over it until daybreak. At this point Fletcher gave up his pursuit. Davy caught up with Booth who had crossed the bridge before him. Davy would stay by Booth’s side during their entire escape. 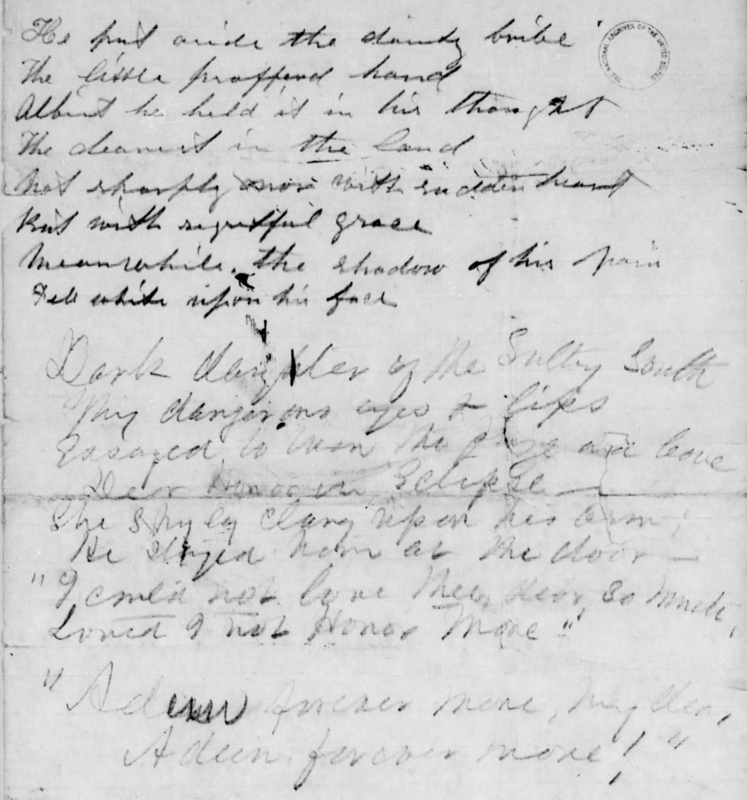 In the end, Davy surrendered himself to the Garrett’s Farm patrol. Davy was brought back to D.C. and placed on the ironclad ship the Montauk. Then he was transferred to the Old Arsenal Penitentiary. Davy celebrated his twenty-third birthday behind those bars and in the midst of the conspiracy trial. Two of his sisters, Jane and Kate, gained passed to visit him two days later on June, 18th. They sat and spoke with him in the courtroom from three o’clock until six o’clock. Davy’s sisters had visited him in prison at least four times prior to this, making him one of the more visited conspirators after Anna Surratt’s attendance of her mother. David Herold was found guilty on all counts against him except having conspired with Edman Spangler. He was sentenced to hang and the sentence was carried out on July 7th. His body was released back to the Herold family in February of 1869 and he was interred in Congressional Cemetery in Washington D.C. He is buried underneath his sister Jane in the family plot, bearing no headstone of his own. Today marks the 170th anniversary of David Herold’s birth. To me, Davy was a well educated, well off, young man who truly believed in the cause Booth expounded. Davy was the only surviving son in a home filled with daughters and he longed for adventure. In Booth’s ideas he found a cause to fight for, an adventure to pursue. While those ideas were proven to be wrong and misguided, he believed in them nevertheless. As with the others in Booth’s clan, Davy wanted to make a difference. So on this, the day of his birth, we remember a man who choose his actions poorly, but do so with the best of intentions. Excellent synopsis of David Herold and given with more insight into human nature than most authors accord Davey. Great, Dave! Happy Birthday, Davey Herold…..
That close up of the rope around his neck is still chilliing…over 150 years later! Hey godeygirl, do you have closeups of the other conspirators on the gallows with the rope around their necks? And where the heck are the pics of Aiken’s new headstone? Here’s Atzerodt on the scaffold with his noose around his neck. Christian Rath is the bearded oone on the left hand side. I agree with you all that it is haunting. Here’s another picture I made last year on the anniversary of the hanging which shows each of the condemned in their last moments. Great Photo montage, Dave. And a very eloquent and poignant image at that…. There are some grand photos of the Aiken dedication, complete with the headstone, a memorial wreath, the Union honor guard, and even a young fawn and his mother who decided to attend. Betty has sent them to me, but I’m not clever enough to post them. When I get to work, I’ll send what I have – unless godeygirl beats me to them. Rick – the other photos of the conspirators being “noosed” (for lack of a better word!) show the neckties going on FIRST and then the hoods….which according to tradition, is wrong. Christian Rath seems like a kind man, despite being the executioner. Do you think he just didn’t know proper procedure, or was he ordered to make them suffer? I, too agree with Laurie. The photos of the conspirators in their final moments are heartbreaking. You have to sympathize somewhat with these persons who are truly going to be “launched” into the beyond with devastating pain and suffering. They were for the most part very young and they were involved, I feel, in something that was bigger than themselves. I think Rath was a very kind man who was following his orders. I think he was simply unsure of the exact procedure. I don’t think he was ordered to make anyone suffer. He had served as a hangman once before, but I think that these were different and extenuating circumstances. He was ordered to first and foremost, hang a woman – something NO gentleman wished to do considering the times and he was also hanging a man whom he admired greatly – Powell. He admired the young man as a fellow soldier and friend. They had played practical jokes in prison and pitched quoits together. This had to be hard for him. I agree with your opinion of Rath and the situation he was in. I would have to think that his mind was swirling at that moment also – having to do something that you might not want to do to another human being had to be rough. I also wonder how controlling he was over the whole matter. The images seem to show the “assistants” running the show. Perhaps Rath just didn’t give much in the way of instructions. This might explain odd little things like the nooses being put on before the hoods, and why they were hanged with their lily irons on. That very well could be the reason – and by that time, everyone must have been feeling that they just wanted the whole thing over with, who cared whether or not it was done properly. I think you’re very right, Dave. Rath appears more “in the background” rather than being the man in control. Truly in control was Hancock and Hartranft, his superiors. I believe that in addition to finding the whole entire affair distasteful, Rath was rather content to let his assistants run the show…. Although it’s a tough call, I lean toward David Herold returning to the Kirkwood House. Mrs. Jones, wife of RR Jones, whom I think worked at the Kirkwood House, said that a little after ten o’clock Friday night she heard a person running rapidly past her room in the direction of George Atzerodt’s room. He tried to open the door of three different rooms or at three different times and not succeeding in opening the room he came back on a run and went back down stairs. My guess is that David Herold was confused as to where George was staying and thus banged on several different doors. Of course the person she heard might not have been Herold. However, it just seems logical to me that if this indeed happened in an upscale hotel at the right time (about 10 P.M.) then more than likely it was David Herold that Mrs. Jones heard banging on doors. Great. After reading this I am very much enlightened. I had always wanted to know about Davy. Its great to know his story which is quite history. A gem of information.